Another enemy from Shadows of Brimstone, this time the Hell Bat. 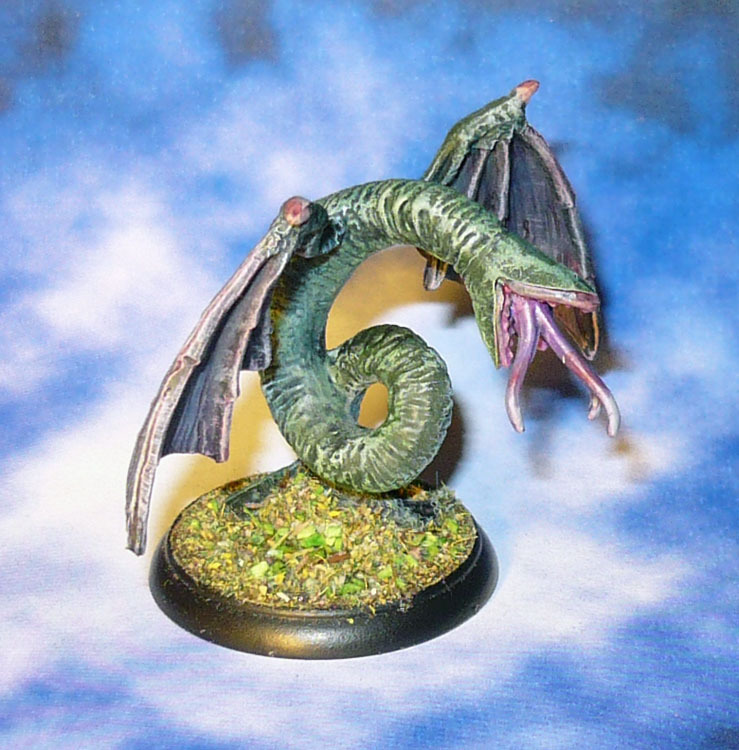 A disgustingly eyeless winged worm with trifold maw and tentacle tounges! And this is a low level mook. Got five more to do from the base set. PreviousMore Miniatures from Dead Games….awww so CUTE!